Hello, We Haven’t Talked In A While. Lives get busy and it’s hard to stay in touch. 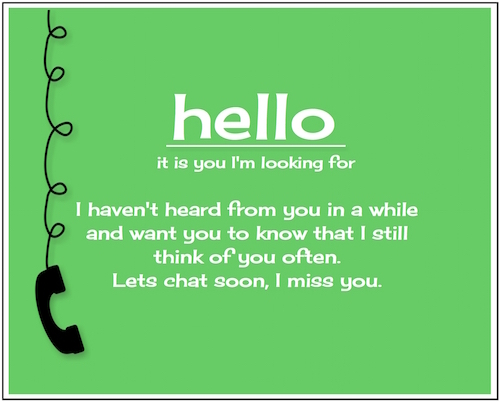 Send this hello to let them know you’re still there.